Threatened Species Day is celebrated annually on 7 September as part of International Biodiversity Month in September. The event was held in the Maroochy Regional Bushland Botanic Gardens on 1 September 2013. Art4place was invited to join with the Maroochy Regional Bushland Botanic Gardens to hold a number of activities that would raise awareness of species that are endangered; ways we can help to support endangered species; and deal with animals and activities that are a threat. Art4Place worked with Gecko Wildlife and the Art and Ecology Centre at the Maroochy Bushland Botanical Gardens to make 2013 Fun Fathers day a great success with families having a great time learning about the environment and picking up new skills in clay, drawing, painting, woodwork, and just plain getting crafty together. The focus of the day was the tiny Feathertailed Glider. Activities included: making flying Feather Tailed and Powerful Owl Gliders (Noela Mills); making pouch pals for Feather Tailed Gliders (Heather Gall); creating awareness of the danger of feral cats by making and tracking down a mass of bad bad feral cats (Jim Cox); making clay Feathertail Gliders (Cathy Lawley); creating Feathertailed Glider houses from recycled wood (Edith-Ann Murray and James Crowther); painting Powerful Owls on boxes (Christine Elcoate). 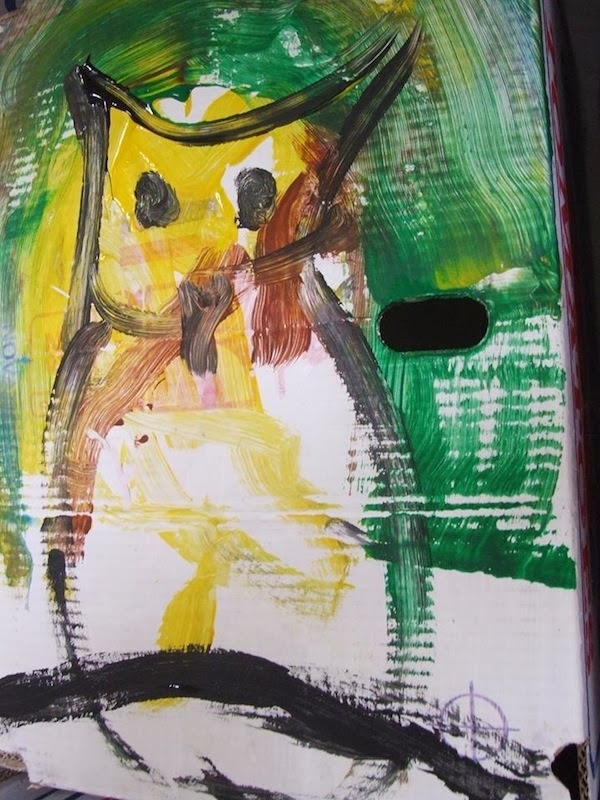 Parental approval has been given for the use of photos of children used in this blog post. In the main photos were taken by Noela Mills. Another great workshop on the endangered species circuit was with visual artist Heather Gall making pouch pals for the Feathertailed Glider. The participants learnt about size and eating habits of the glider to fit into their pouch. Drawing with charcoal and pastel pencils we had making a recycled pouch to wear was a lot of fun. The finished pouch pals sporting their small Feathertailed Gliders looked great at the exhibition which was held in the Art and Ecology Centre at Tanawha during the school holidays. Lots of feral cats were turning up everywhere chasing down the Feather Tailed Glider. Well known artist Jim Cox told all the children making this BAD BAD predator of the Feather Tailed Glider all about how bad they have become in wiping out this tiny helpless creature. A lot of fun was had making an installation of a circle of feral cats on mass, with a poor little Feather Tailed Glider on a stick in the centre. 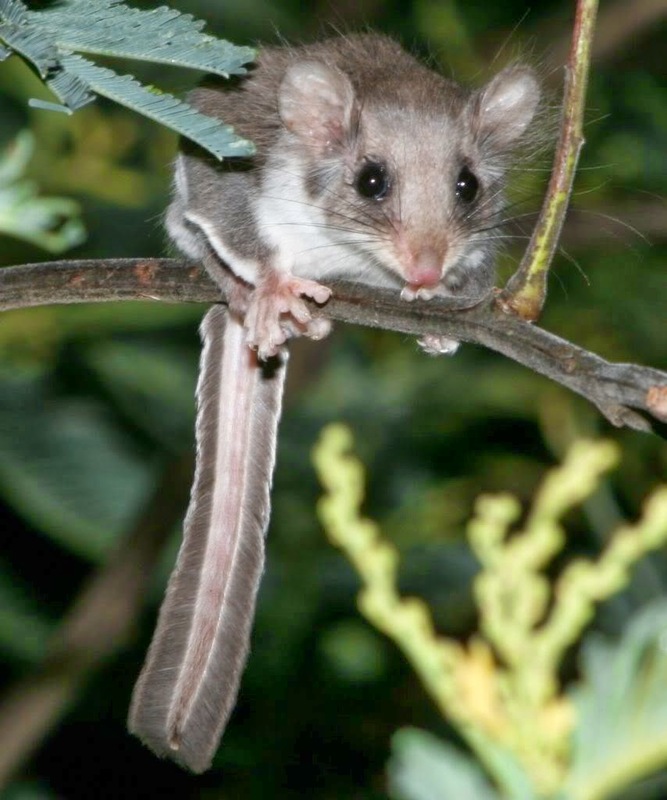 The cute little Feathertailed Glider on the post in the photo below was made by James Crowther. The kids had a great time on the feral cat hunt , tracking down the paw prints in the Sculpture garden looking for hidden bad bad cats to bring back to the enclosure and get them out of the bush. Learning about the Powerful Owl as a predator of the Feathertail Glider was fun. Learning through creativity is the best way to do it. 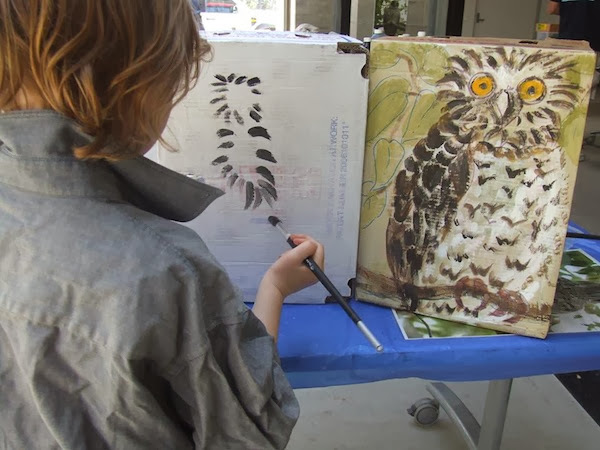 The children painted lots of Powerful Owls on recycled tomato cartons. They got to make a huge wall of owls to make a statement about how powerful they are when on the attack to catch their favourite tid bit “The Feathertail Glider”. Edith-Ann Murray and James Crowther worked with the children to make safe houses for the Feathertailed Gliders. Some of the houses made their way into the September Ecology Centre Exhibition; and others made their way home to children's houses to be placed in the tress. And of course what learning would be complete if you didn't make a Feathertailed Glider? So Cathy Lawley invited the children to get their hands in the mud and make ceramic gliders. Many of the things children made on the day contributed to the creation of an exhibition in the Art and Ecology Centre at Tanawha during the school holidays so that the environmental message could continue to be shared with other children, their parents and the general public throughout International Bio-diversity Month - September. Art4place was proud to be a partner with the SCC, the Maroochy Regional Bushland Botanic Gardens and the Art and Ecology Centre at Tanawha in raising awareness of environmental issues through temporary community placemaking art.